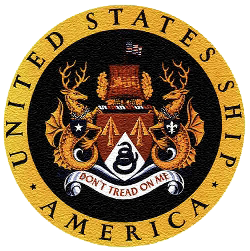 who are members of the CVA. 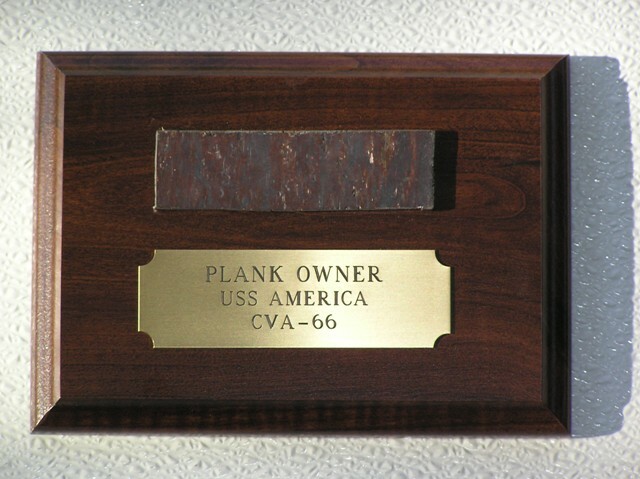 The Plaques feature the ship name USS America CVA 66 and Plankowner or Crewmember engravings. 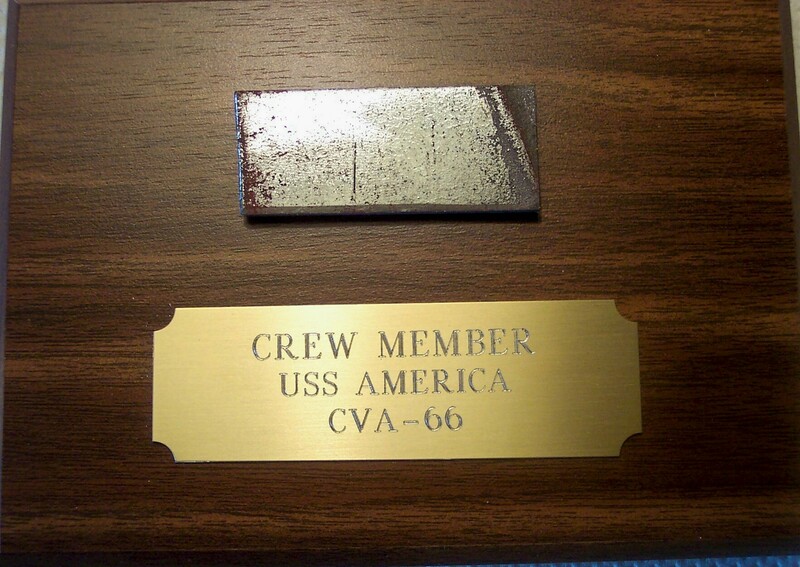 The Steel is from elevator #1 of the USS America.